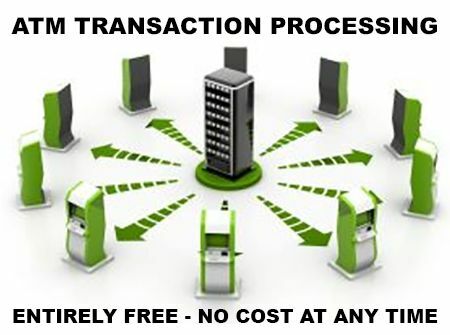 If you’re looking for a company to set up transaction processing services for your ATM, you’ve come to the right place. 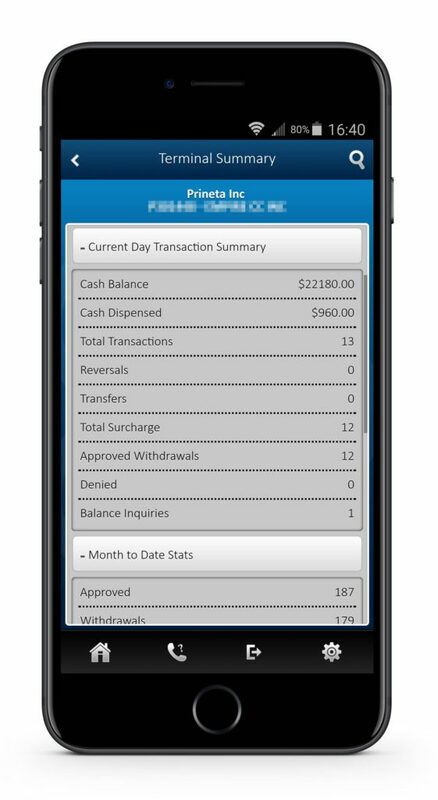 Prineta is an Independent ATM Deployer (IAD) registered to process transactions with all major national and regional banking networks including MasterCard, Visa, Discover, American Express, Maestro, Plus, Star, Pulse, Cirrus, Armed Forces Network, Exchange, CU24 as well as all State EBT programs that supports ATM withdrawals. Whether you have a brand new ATM and are needing it programmed for the first time, or reprogramming an old ATM you’ve used for years, we’ll have an ATM technician help you reprogram your ATM to get setup with our processing entirely for free. There’s no charge for the setup and there’s also no charges down the road. No monthly minimum fees, no tech support fees, no bogus “network access” fees or any of the other miscellaneous charges that other ATM companies like to charge. Prineta processing customers will receive 100% Ballroom Featuresof their ATM surcharge revenue. If you set a surcharge fee at $3.00, you keep that entire $3.00 the customer pays every time someone uses the ATM, Prineta does not keep a penny. Other companies like to keep $0.25, $0.50, or even $0.75 per transaction for bogus “network access” fees. If you ever need assistance with your ATM processing, there will always be someone available to help. 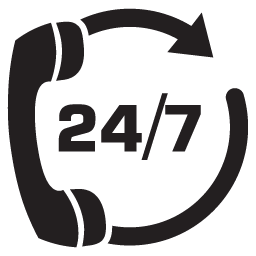 You’ll be provided with a toll-free number to call and get tech support or any account-related issue. We will provide you with a sticker for the front of your ATM which advertises a toll-free number. If ever a cardholder tries to use the ATM and claims they didn’t get the proper amount of money, they can call this number anytime 24/7/365 to dispute the transaction with our processor. Unlike most other ATM processing companies which require lengthy 4, 5, or even sometimes 10 year processing contracts, Prineta customers get to sign up with no contract at all. 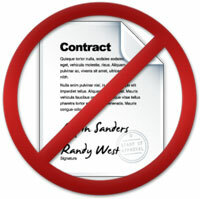 Don’t get trapped in a long-term agreement with a company before you’ve even tried their service. Get set up entirely free with Prineta and we guarantee you’ll stay. If you aren’t satisfied you can walk away at any time. For those business owners who feel more comfortable signing an agreement of some kind, we do have a basic ATM Processing Agreement outlining the basics of the services provided with a 30-day exit clause included. 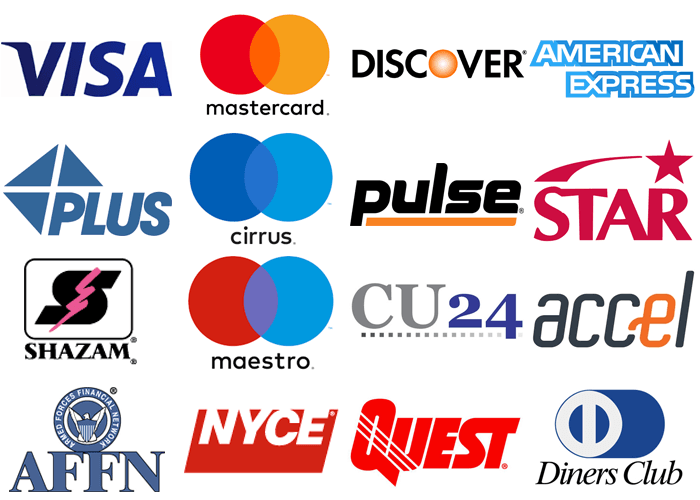 We can set up processing for ATM machines from all major manufacturers, including GenMega, Hyosung, Triton, Hantle/Tranax, NCR, Tidel, Diebold, Fujitsu, GRG, Ingenico, Nextran, ACI and many others. All Prineta ATM processing customers will have free unlimited access to view information about their ATM terminal online through our web portal. View real-time terminal status, cash levels, transactions and much more. The online ATM portal is accessible from any mobile device using an app available for both Android and iOS devices. Logon to the web portal via computer and you’ll have access to run a wide variety of in-depth reporting functions including daily, monthly and yearly transaction summaries, cash balances, dispensed amount and much more. You set the amount, we recommend setting it at 600, or about 3X what the max withdrawal on your ATM is set at. The choice is yours. If you’re wanting to make sure your ATM is always active, get notified whenever the ATM hasn’t done a transaction for any amount of hours/minutes. Great for extremely busy locations. If an error ever occurs, you’ll be the first to know about it with automatic error reporting. During the set up, you choose what the ATM’s surcharge fee is set at. Customers complaining your surcharge is too high? No problem, the surcharge fee can be adjusted at any time. Just send us a request and the surcharge fee will be changed and updated by the next day. If you aren’t looking to make any money from the surcharge and would prefer to allow your customers the convenience of getting cash for free, we can set it up so there is absolutely no surcharge fee at all! For banks and credit unions who don’t want to charge their customers we can block the BIN of your Financial Institution and set it up so your customers aren’t charged to use the ATM, but non-customers are still charged the normal fee. You decide how much money the cardholder can take out on each transaction. Default maximum withdrawal is set at $200 per transaction. Federal regulations require that cardholders are allowed to get at least $200 per each transaction, so this is the minimum-maximum,You can set the withdrawal limit at any amount above that. Most ATM dispensers can only handle dispensing 40 bills at a time (any more and bill jam may occur) so we recommend not setting a limit above $800 (if your ATM is dispensing $20 bills). If you have a lot of customers from other countries using the ATM, be sure to ask Prineta about multi-currency exchange/conversion ATM processing. Be tourist-friendly and show your international ATM users how much their withdrawing in their native currency. In addition to our free ATM processing services in the USA, Prineta also offers ATM processing services in all of Canada as well as Puerto Rico and the US Virgin Islands (USVI). 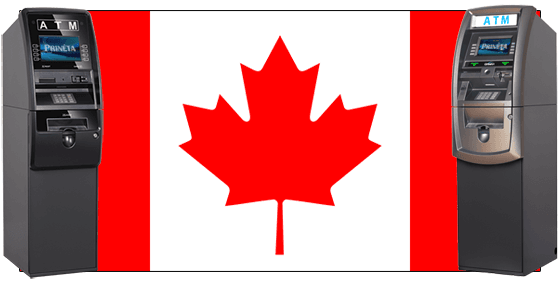 For ATM processing in Canada and Puerto Rico we may require an keeping an additional $0.25-$0.50 portion of the surcharge. Contact Prineta by calling our office at 1-800-951-9533 or by submitting the contact form below. A Prineta account representative will send you the required documents (ATM Operator Agreement, ACH Authorization Release, W9 Form). Fill out the required documents with a few clicks via electronic signature, or scan and email/fax them back the old fashioned way. On-Site Maintenance/Labor Services: For $0.50 per transaction we’ll assign one of our certified ATM technicians in your local area to your ATM. Any time the ATM goes down or reports an error the technician can troubleshoot and fix any issues within 24 hours. Cash Loading Services: For $1.50 per transaction we’ll provide and load the cash in your ATM and also include first-line maintenance.